a few years ago, i fell in love with a bunch of girls who live on the other side of the world. they were young, pregnant, and alone, until my friend Kristin answered a call and gave them hope and a home: Mercy House. i remember the first time i saw the beautiful faces of the inaugural residents of the maternity home in Kenya, and the first time i prayed for them and their unborn babies. i keep their picture framed where i can see it every day. from right here, i watch updates as Mercy House continues to grow into the vision God placed in Kristin's heart. i celebrate when babies are born. i pray for their needs and their safety. i mourn when they grieve a loss. 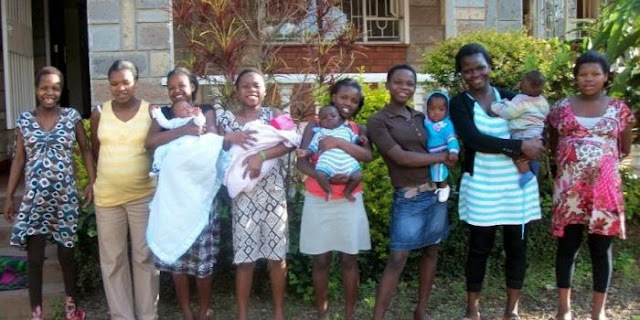 Mercy House is doing a great work taking care of these young mothers and their babies, providing medical care, counseling, education, nutrition, job skills, and biblical teaching. one of their greatest needs right now is another vehicle. with 12 teen moms, 12 babies, 2 housemothers, a social worker, and other workers, their van barely fits everyone in and is constantly running to appointments, to church, to the doctor, and necessary errands. we need to help them get there. can you even imagine a family of 24 and only 1 vehicle? in Kenya? a second vehicle would save time, money, and would make it safer for transporting the moms and their babies to their appointments. from right here, we can help them get there. 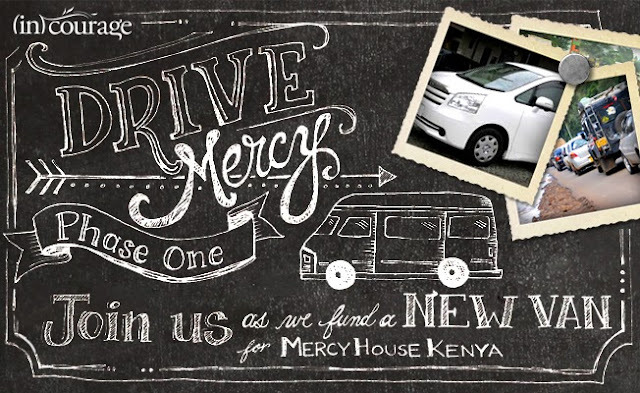 to help buy a van for Mercy House Kenya! come on, y'all. we can help them get there.